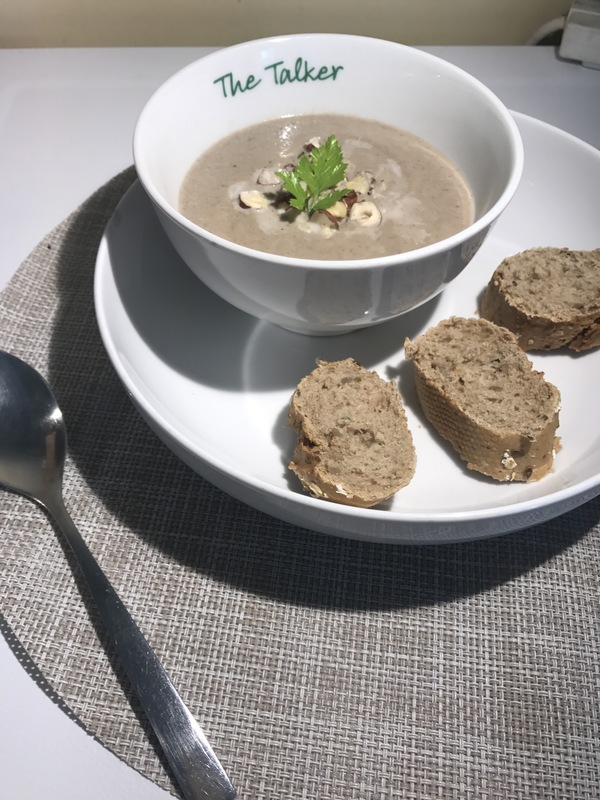 Continuing on with this series, here is another soup you can make in about 10 minutes which tasty, filling & Nutritious. Similar theme to the previous, but with different flavour! Roughly chop mushrooms. They don’t have to be perfect sizes as they will be blended anyway. Put the mushrooms and hazelnuts into a saucepan. Crumble the stock cube on top. Pour a little of plant milk (using as an oil substitute) into the saucepan and “fry” the mushrooms on high heat for a minute or so, stirring all the time to ensure they don’t burn. If you run out of the liquid and it starts to stick, add a little more milk. Keep adding small amounts of milk as needed until they have reduced in size by about half. Once they have cooked down till they are about half the size they were, pour in 1 cup of boiling water. Cook on medium to high heat for about 5 minutes. Add in the rest of the plant milk and cook on high heat for another minute. Put the mixture into a high-speed blender (I use a Nutri bullet) and blend for about 1 minute until smooth. Season with salt & pepper to taste, and top with some chopped hazelnuts for crunch and some fresh parsley if desired. * The amount of cooking liquid you add to the blender depends on your desired consistency. For light soups add more liquid, if you want a thick and creamy soup, add less liquid.